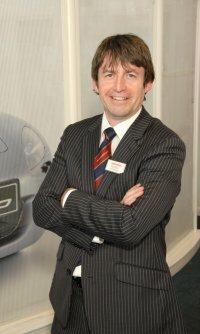 I would, first of all, like to introduce myself; my name is Peter Holtom and I have been in the motor trade for over 30 years, 28 of which have been with a main dealer. I started my career back in 1983 as a apprentice technician and gradually worked my way through various positions including Service Advisor, Bodyshop Manager, Service Manager and finally General Manager. From April 2000 until 2011 I was at the Honda main dealership in Stockport and during that time I have gained a wealth of knowledge of the Honda brand. I am situated in Stockport. I am striving to achieve a reputation on providing my customers with a courteous, honest and reliable service. I have just moved to a newer workshop in Hazel Grove, Stockport, specialising in Honda cars. I hope to provide a cheaper alternative to the main dealers. I can offer cost savings to all Honda customers but still provide them with quality and assurance their vehicles are being maintained to the highest standards. I will collect and deliver your car free of charge, carry out a mini-valet with every service plus save you money on main dealer charges. I can arrange MOT tests at trade prices and ensure your service book is stamped up-to-date. If you like what you see then give me a call; I will be more than happy to answer your questions and give you advice where possible.